The air fryer is a great appliance for those who want to eat healthier foods or save time in the kitchen. 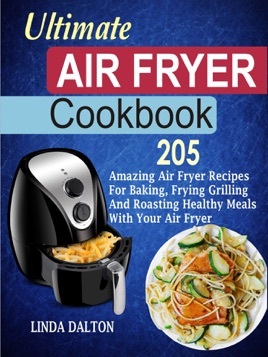 The 205 recipes in the Ultimate Air Fryer Cookbook give you a lot of options of what to cook. Whether it's a bowl of onion rings, a plate of hot chips or crispy air fried chicken, you can have them all done to delicious goodness in your air fryer. And what more, you can have these foods endlessly without worrying about weight gain or heart problems. Enjoy the full pleasure of fried foods without really "frying". The air fryer achieves delightful crunchiness using ridiculously low amounts of oil. 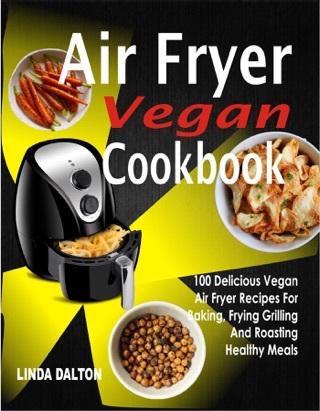 The Ultimate Air Fryer Cookbook contains recipes that open up a whole new world of healthy cooking with the air fryer. Dinner is just 22 minutes away with the Cheesy Crusted Chicken Fillet recipe. Chicken fillets are rubbed with a marinade of butter, egg, Italian herbs and garlic powder then dipped in parmesan bread crumbs. So tasty and juicy. Want some healthy snack? Crispy Banana Chips are done in 20 minutes. With just enough salt, turmeric powder and chaat masala to add an Asian touch. You'll surely love it! Throw frozen fries straight into the air fryer or make yours from scratch. Whatever your choice, you will be rewarded with scrumptious golden brown fries. A variety of fries recipes in combination with chicken, steak or seafood are available in this book. You can be on your way to making mouthwatering meals in minutes. Just take your pick of the 205 recipes, heat up your air fryer and start cooking irresistible air fried food!